A client was hosting a surprise engagement party this weekend for her daughter and futer son-in-law. 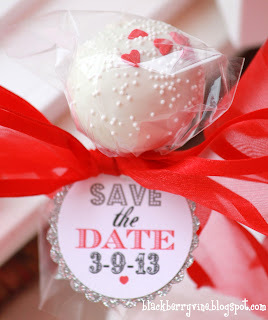 After deciding on flavors and talking about colors, we came up with the idea to add a little save the date tag to the cake pops. I loved this idea and so did my client. Happy Engagement S + N !!!! Yours is a great idea. 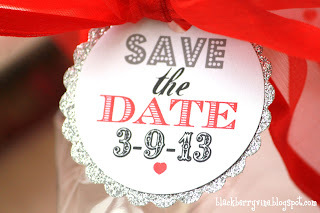 My son is having his engagement party in March and I made save the date magnets too. Check mine out.... I do love cake pops though!! Oh my, these are beautiful! !